The Chandler and Price Letterpress was first built in Cleveland, Ohio in 1881. The factory shut down in 1964. Today the Chandler and Price press is having something of a revival in the U.S. In Mexico, however, it never died. 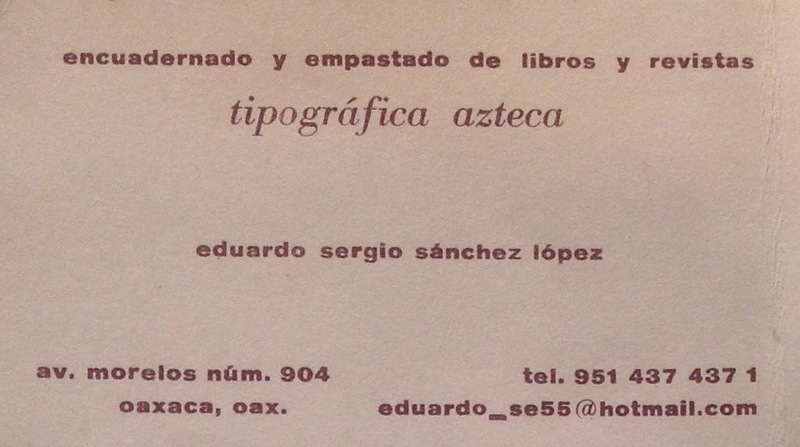 Last week I chanced upon Maestro Eduardo Sergio Sanchez Lopez working at his shop, Tipografia Azteca, in Oaxaca. I stopped to admire his press. 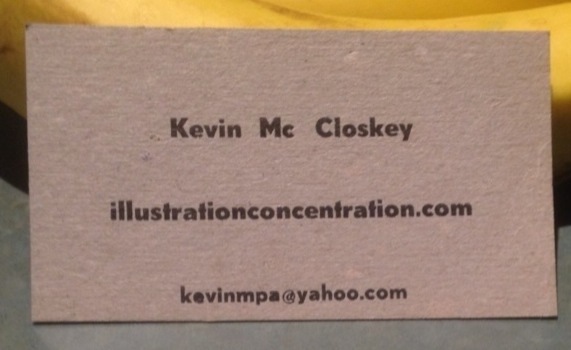 He sets the type and prints 100 business cards for 184 pesos. That is about $14 U.S. I ordered a set of cards printed on simple stock. I drew a sketch of what I wanted, just my name, this blog adress, illustrationconcentration.com, and an email contact. 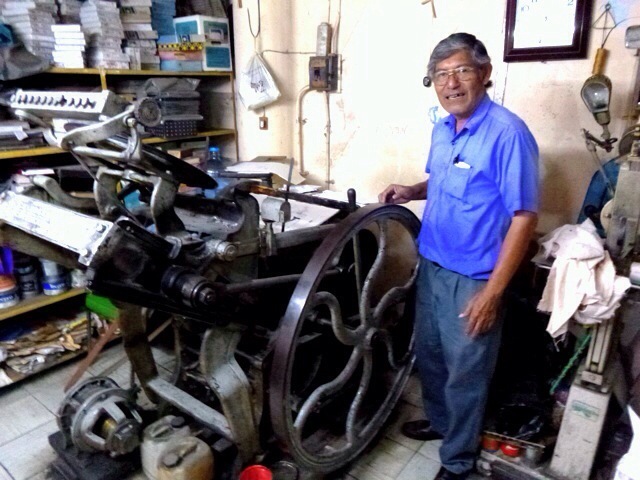 Oddly enough, after my visit to Meastro Eduardo’s shop I travelled 12 hours by bus to a print shop in Chiapas, Mexico run by a collective of Maya women. They also had a working Chandler and Price press of a similar vintage. That workshop is called Taller Lenateros and I will write more about them soon. < Previous Covarubbias, more than a Caricaturist. 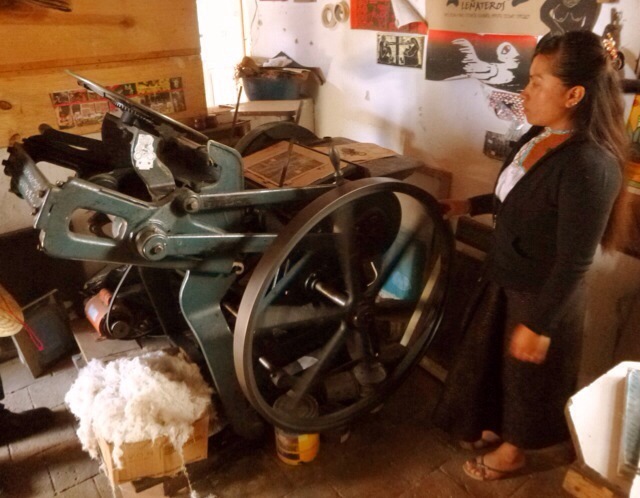 Next > Visit Printeresting for more on Maya Woman Printers.